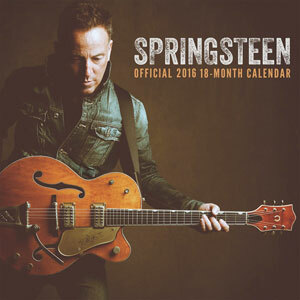 The official Bruce Springsteen calendar for 2016, now 2/3 off! 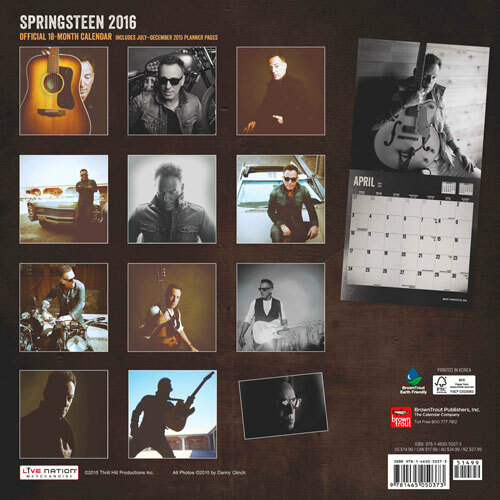 This official 2016 Springsteen calendar from Thrill Hill Productions is a very handsome specimen, with off-stage portraiture of The Boss -- and of course some cars, guitars, and motorcycles -- by photographer Danny Clinch. 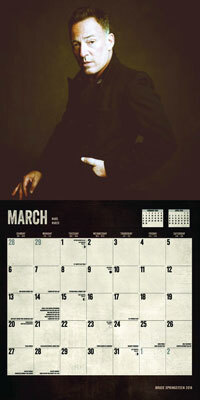 Each month of 2016 features a large picture (12" x 12"), in both muted colors and striking black and white (see the back of the calendar below for a look at each month).